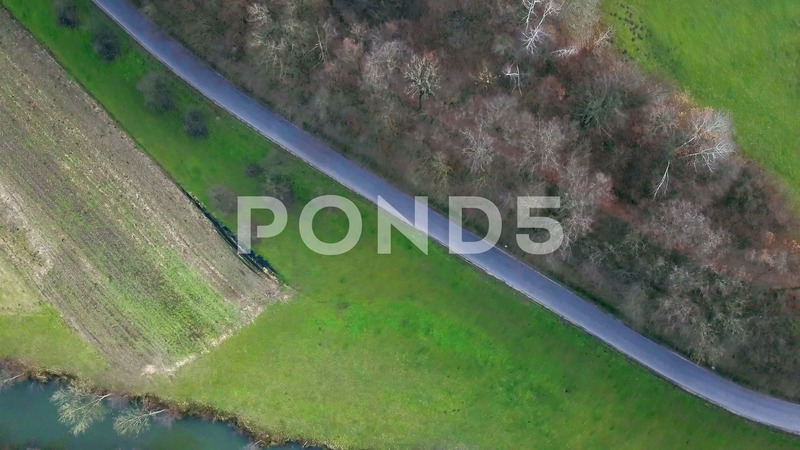 Aerial: Flying Over Small River With Road And Railway At Each Side. Description: Aerial: Flying over small river with road and railway at each side. Filming beautiful green Slovenian countryside on cold sunny spring morning.